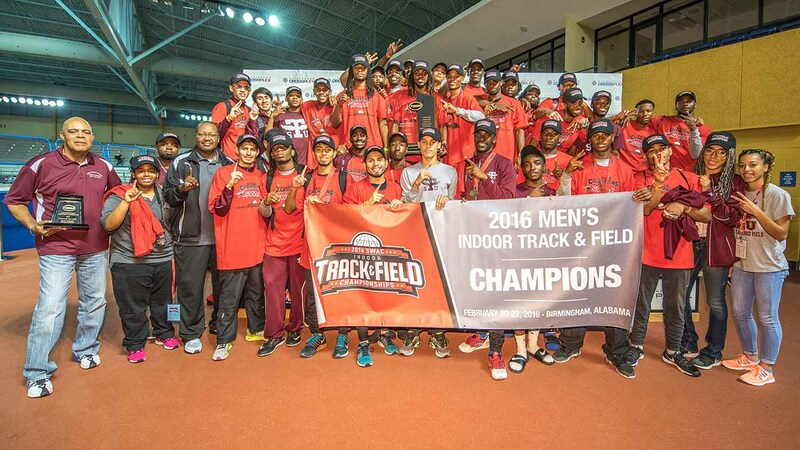 BIRMINGHAM, AL (KTRK) -- Texas Southern University men's track team repeated as the Southwestern Athletic Conference Indoor Track and Field champions, with a 122 point total Sunday afternoon. The team participated at the Birmingham Crossplex in Alabama. TSU coach Clyde Duncan was presented the 2016 Men's Indoor Coach of the Year award.